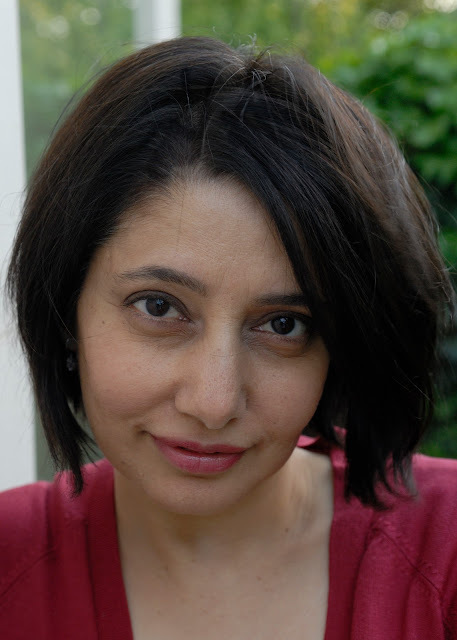 Eyewear is very pleased to welcome the poet Kavita Jindal (pictured) this last Friday of the British summer, as September looms. Jindal was born and raised in India. She lived and worked in Hong Kong for several years before settling in London. She is the author of the poetry collection Raincheck Renewed (2004) published in Hong Kong. Her poems, short stories and reviews have been published in various newspapers, literary journals, and anthologies, including The Independent, The South China Morning Post, Dimsum, The Mechanics Institute Review, Asian Cha, In Our Own Words, Not A Muse, and Asia Literary Review. Jindal contributes a regular literary blog to Birkbeck’s Writers Hub website. She is also the convener of the Poetry Society’s south-west London Stanza. She enjoys collaborating with photographers, painters, musicians and other artists on diverse projects. dissolving into stems, pots, fences. inhaling the white bouquet of life. White is indeed transcendental and prevails.. heaven is indeed a place on earth..